Start the Year Strong by Cutting the C.R.A.P. Removing these types of food from your diet will have immediate and lasting positive results. The glutonous days of the holiday season are now officially over and the temptations to indulge in the less-healthy foods should no longer be testing your will power come mealtime. So to get your eating habits back on the right track, and increase your chances of sticking to that New Year's resolution to lose weight, we've got just the formula for you to follow. It's simple, effective and easy to understand. Ready? Cut the C.R.A.P.! What exactly is the C.R.A.P. you ask? 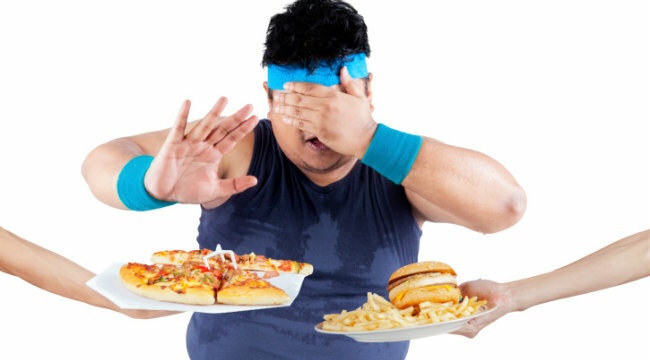 Lets take a closer look at these unhealthy foods and how they can quickly derail your efforts to lose weight and perform your best in and out of the gym. Carbonated drinks are high in fructose, a type of sugar that is processed by the liver as a toxin when the muscles don’t use it, and thus it’s been stored as fat. Recent studies show that one of the main causes of today’s obesity epidemic is the high consumption of soft drinks and fruit juices, including natural orange juice! Refined sugar is a waste of calories. There is a saying, “The whiter the bread, the fatter you get." In this category we have white flour, white sugar, and high-fructose corn syrup -- the trifecta of high caloric, no nutrition foods. Some of the items you'll find these nutritionless additives are pastries, cakes, cookies and many breakfast cereals. Artificial colors and flavorings fall into the category of anti-nutrients, which are often included in products like sweets and candy, soft drinks, party foods and snacks such as chips. “A” also stands for alcohol, which is processed by the liver as a toxin and promotes fat storage. Processed foods such as sausage, ham and deli smoked meats are more likely to contain all of the above, plus trans fats, which have been shown to cause weight gain and in some cases even cancer. With so many negative consequences to one's health and appearance, why on earth would anyone consume all this C.R.A.P.? Loaded with fat and sugar, these foods rob your body of essential nutrients, making you feel sluggish and tired. Scientists are still searching for more answers, but findings consistently show that our brains have been wired to encourage the consumption of these types of calorie-rich foods, even at the expense of good health. Simply put, these foods bring us pleasure. However, if you're determined to lose weight and improve your health this year you may have to forgo the pleasure and limit the foods that fall within these categories. So cut the C.R.A.P. already, and make 2016 your healthiest and most productive New Year yet.